e.g. : We can't find written Notes in ATM. 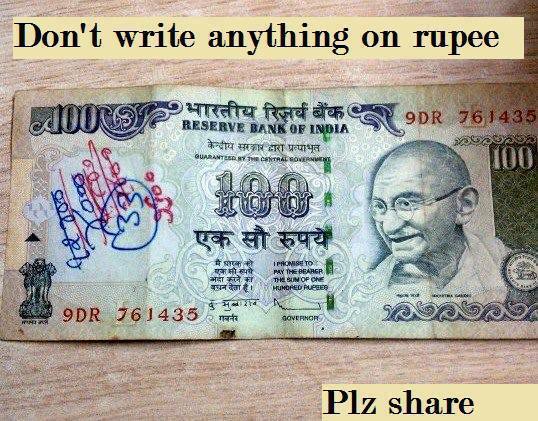 When will we learn to value & respect our own currency? Have you seen a dollar bill or a Pound with anything written on it?